‘I scored 700, should I retake the GMAT or focus on the rest of my application? This causes students even with 700+ scores to retake the GMAT, in the bid for a further 20 or 30 points. Or even perfection. Leaving the pros and cons of super-scores aside, yes 720 is better than 700, but is it the smart thing to aspire to — when the tradeoff is time lost to essays and other part of the application? Candidates think the higher they score, the better their chances of admission. It seems obvious but is it right? Here’s how to think about it: The GMAT operates on a threshold principle. If you are applying to an elite school and you don’t have enough, then everything else you do and say will be in the shadow of that. What is enough? About 700, assuming Q/V balance, that is, 80th+ percentile in each. 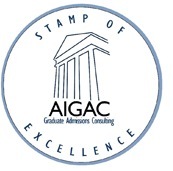 At this point (and maybe well below it, depending on GPA and other academic recognition,) Adcom will put a check mark next to your cognitive abilities and look for what else you offer. So the GMAT is crucial — up to a point. It tells Adcom about your intellectual ability, and is particularly handy in that it facilitates easy comparison across institutions and undergraduate majors, and to some extent across cultures. If you are too far below the school’s average GMAT, yes, nothing else you are, do, or say will count. 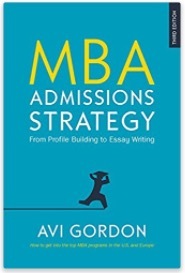 Every 10-point gain adds to your admissions prospects and move of 30 or so fundamentally changes which b-schools you can legitimately hope to get into. But only up to a point: A higher GMAT won’t check any other box than “cognitively capable” that was already checked at around 700. There’s no benefit to keeping on hammering away at a nail that is already knocked in. Moreover, even a super-score is not going to save you if your recommendations are so-so, your essays are undeveloped, and you stumble in your interview. It takes a mix of talents to get admitted to a competitive school, the same mix of talents it takes to be a good manager and leader. The operative term here is “mix.” Academic ability is just one of many items considered, along with leadership potential, team player profile, work experience, volunteer experience, profile diversity, and so on. Academic ability is definitely essential, but so are the other attributes. This reflects the multifaceted demands of a real business career. So it makes sense to be very concerned with the GMAT until it is broadly within the guidelines of your target program. Then forget about it and spend time on other aspects of your application. People who obsess with improving their already 700+ score are short-changing the rest of their admissions profile. Previous PostThe value of a bad boss in MBA admissionsNext PostRound 1 MBA essays are taking shape: but why have many applicants turned into monks and saints? I have a 750 so yeah that might be the case but I’m trying to help him understand what’s important. Anyway, there’s only so much I can do. It is ultimately up to him. I agree. More often than not, It becomes a confidence issue which leads down to faring poorly in your essays and interviews. This is why this article could serve to change perspectives about it. Nice one. @Applicant: How much was your score? It could be that your friend might have been intimidated by peer scores. I am applying to some top schools this year and I have a few friends who are applying as well. I keep telling one of them that 720 is a good score and there’s no point giving the GMAT again. I’ll definitely forward this to him to prove my case.